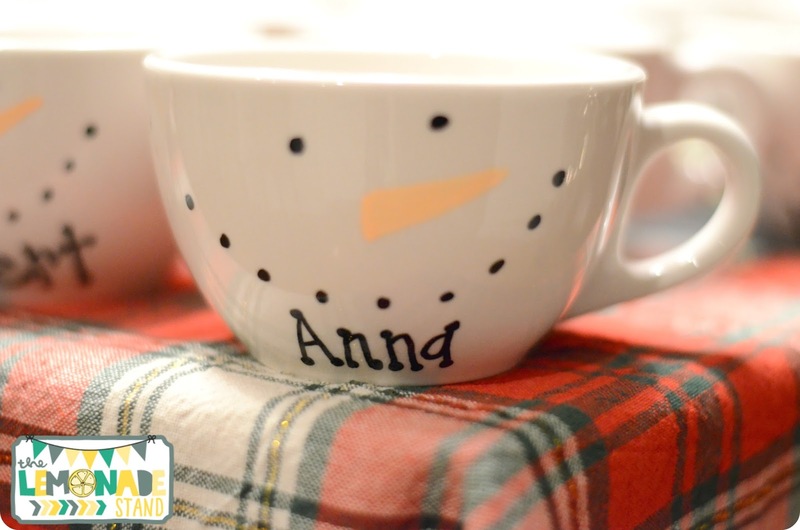 Over the past few years, I have seen so many fun blogposts on Pinterest of parents doing North Pole breakfasts with their kids. 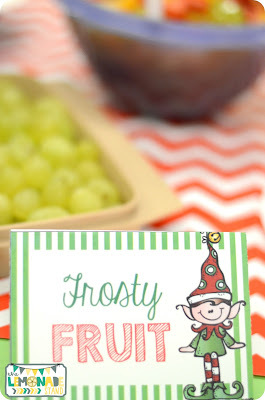 Typically, you do the North Pole breakfast when your elf arrives. 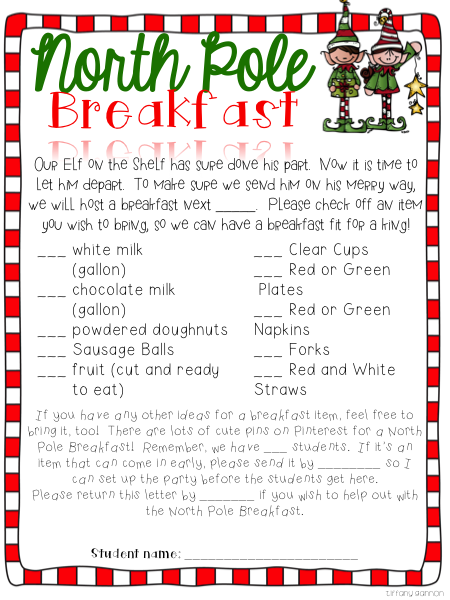 I thought it would be so fun to do a North Pole breakfast to send our classroom Elf on a Shelf back to the North Pole! 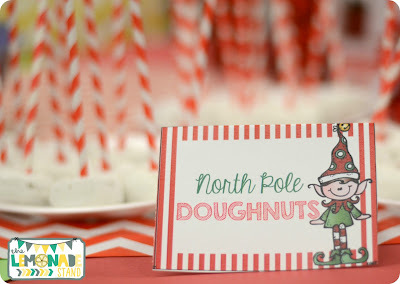 So last year, I threw a North Pole breakfast for my second grade class for their Christmas party. 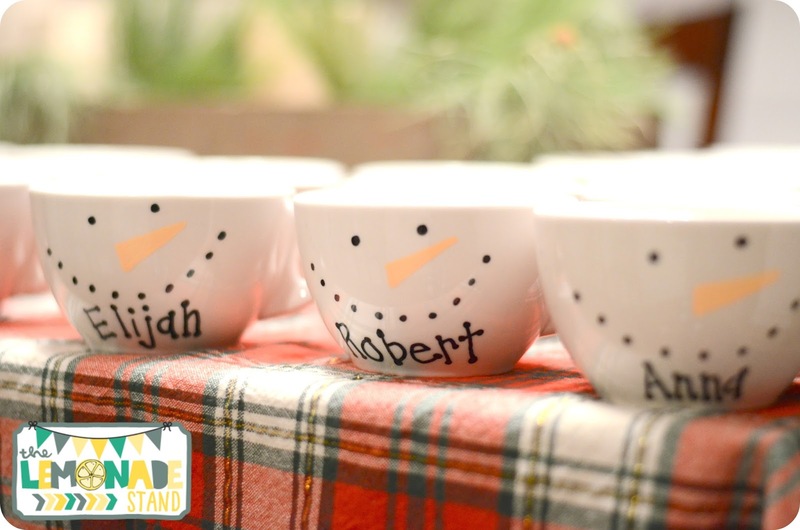 It was the cutest and easiest Christmas party ever! I compiled everything you need to have your own in the freebie pack below! I sent home a letter to parents a couple of weeks before the breakfast so that they could help out by providing the food and drinks. 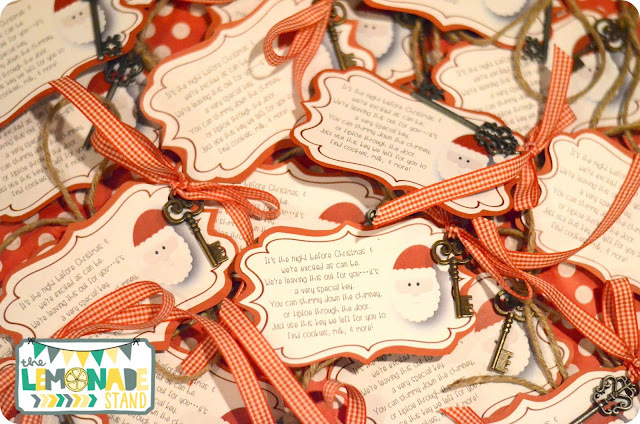 I included letters for you for both a girl and boy elf. 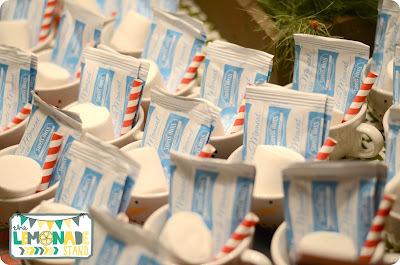 You will want to make sure you have plenty of the red and white paper straws. You will need them for the milk and for the powdered doughnuts. I stuck them in the powdered doughnuts to look like little north poles! We needed a healthy little addition to our breakfast, so some parents prepared ready to eat fruit for us. I used bulletin board paper to cover the tables and wrapping paper as a runner on the tables, including the student tables. 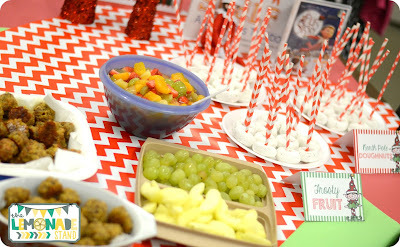 I used some little red trees from home to decorate the food table. 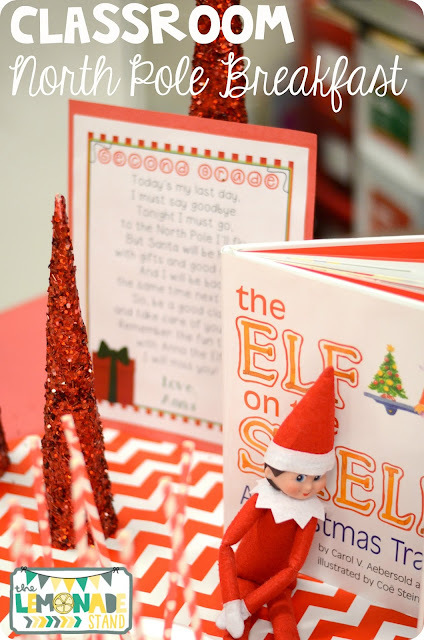 While students ate, we watched The Elf on the Shelf movie. It was all so fun and the room looked so adorable! 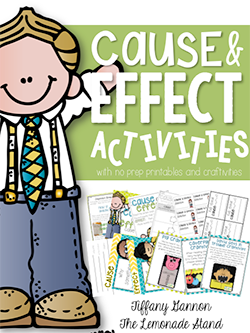 It was a hit with the kids and parents! 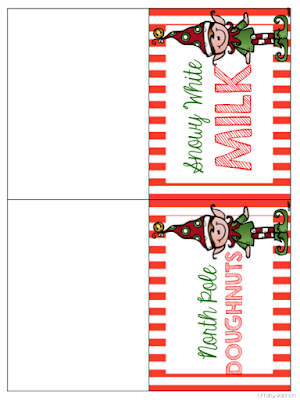 You can get a copy of the food labels in the freebie, too. 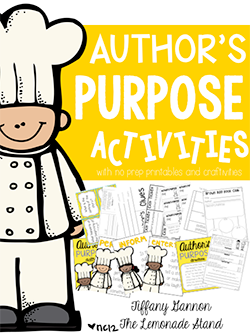 You will need to print them on card stock so you can fold them a sit them on the table. 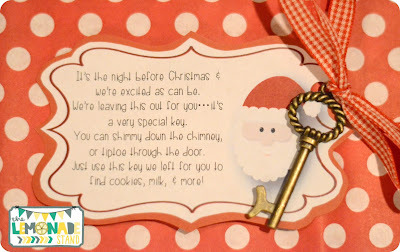 For students gifts last year, I gave each student Santa's Magic Key. There are so many of these out there on the blogs. I had trouble finding the keys I wanted, but I stumbled upon these little ones in the dollar section at Michael's. They're kinda small, but they did the trick. I printed the little poem and pasted it to red scrapbook paper and cut them out. I then punched a hole in the poem and tied the key to the poem. You can grab the poem by clicking on either pick below. I also made these mugs for my class. The week before Christmas break, we did a hot cocoa study, so these made the perfect gift for them! I picked up the mugs at Old Time Pottery for $1. I used a Sharpie paint marker for the face and names. Each mug was stuffed with hot cocoa, a large marshmallow, a short red and white paper straw, and then wrapped with clear cellophane and tied with a ribbon at the top. Make sure to tell students not to wash the mug in the dishwasher. I just love Christmas time! 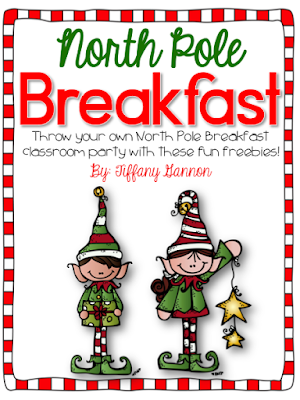 I hope you will try out the North Pole breakfast idea and let me know how it goes! 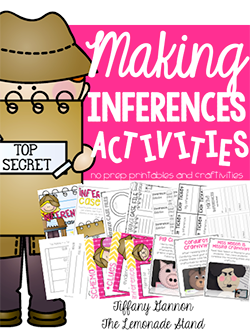 I am linking up with the I Teach blogs today! 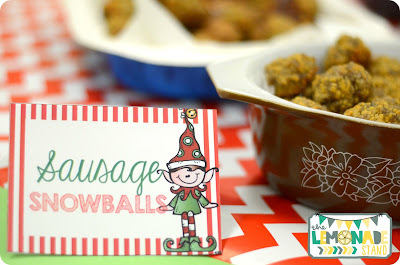 Be sure to head on over to the fun Linky Party we are having! 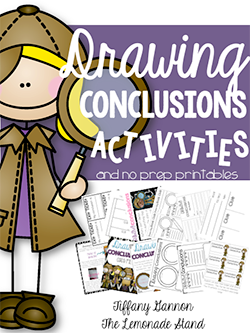 So many ideas and fun tips! Merry Christmas! !Outlook Tech Support GREAT POST, I like your post.